As the inventors of the first heart rate monitor for training over 30 years ago, we’re truly specialists in the field. Since then, we’ve been leading this category, with the world’s top specialists working on the most accurate and intelligent training computers and heart rate based features. This unrivalled physiological expertise allows us to lead the way in innovative product development. The award-winning design of our products coupled with our technological innovation reflects our passion for sport and training. At Polar, we understand how important sports and fitness are to you. So we make it as much a part of our lives as it is of yours. What’s more, our features give guidance based on your personal information, and individual heart rate and its variation. So whatever your sport and whatever your level, Polar products will push you to get more out of your training. Getting the most out of your training doesn’t always mean working faster or harder. Heart rate training optimizes your efforts, and you can make each minute of each session count. When you listen to your body with a heart rate monitor and keep your recovery times optimal, you will increase your fitness, improve your performance, and gain more strength – and you do this faster with Polar. Heart rate training is based on training at intensity zones that are determined from the percentage of your maximum heart rate. When you train at the right intensity, you’ll get the effect you’re looking for. With Polar, you’ll know the benefit of your training, so you know when to pick up your pace or slow down a bit. 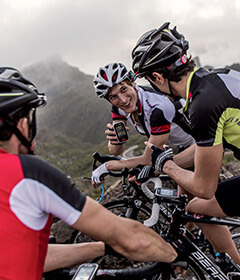 Polar products take the guesswork out of your training by giving guidance based on your heart rate and it’s variation. With Polar by your side, you can follow predetermined training plans on your training computer, measure your performance, and analyze every detail of your training. And whatever your sport, Polar training computers can adapt to any need with compatible sensors and versatile features. Listening to your body has never been easier – whether you’re a beginner, a professional athlete or a world champion.